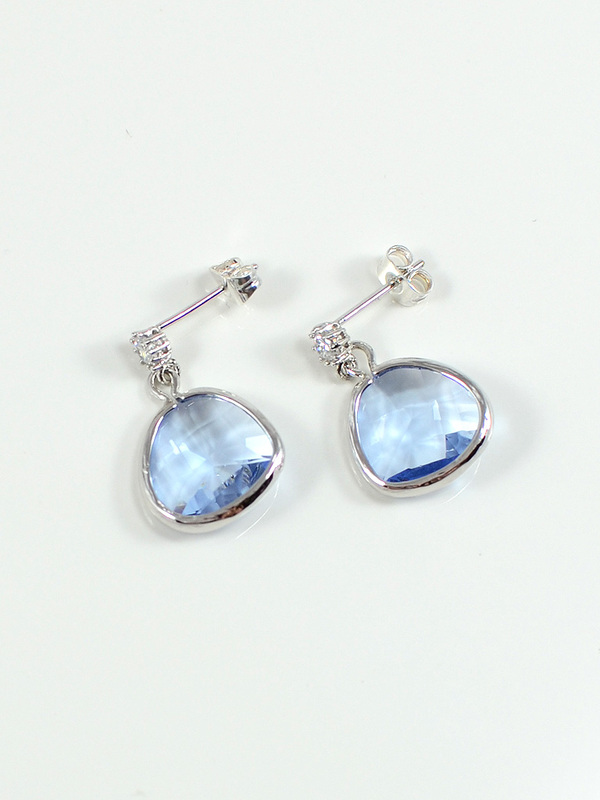 Add a little sparkle to your day with these dazzling cubic zirconia post earrings featuring 13mm framed glass crystals in light sapphire. 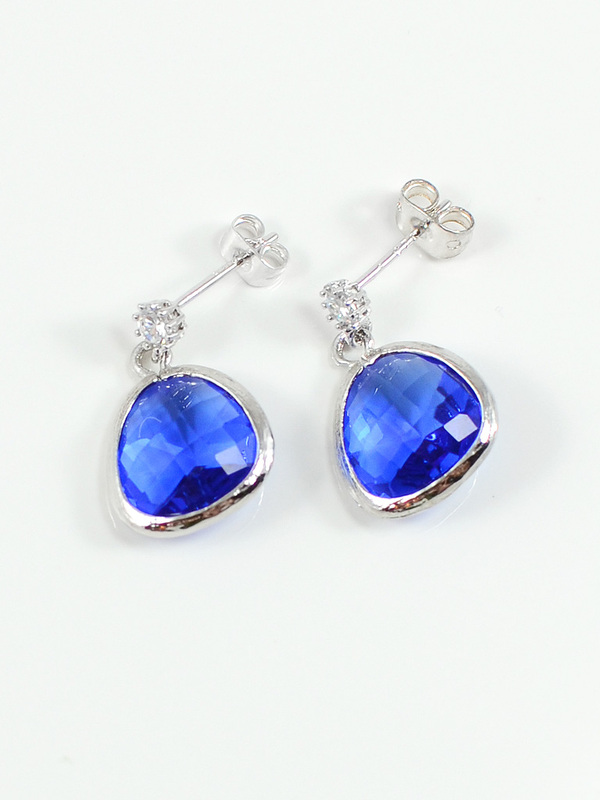 Add a little sparkle to your day with these dazzling cubic zirconia post earrings featuring 13mm framed glass crystals in sapphire. 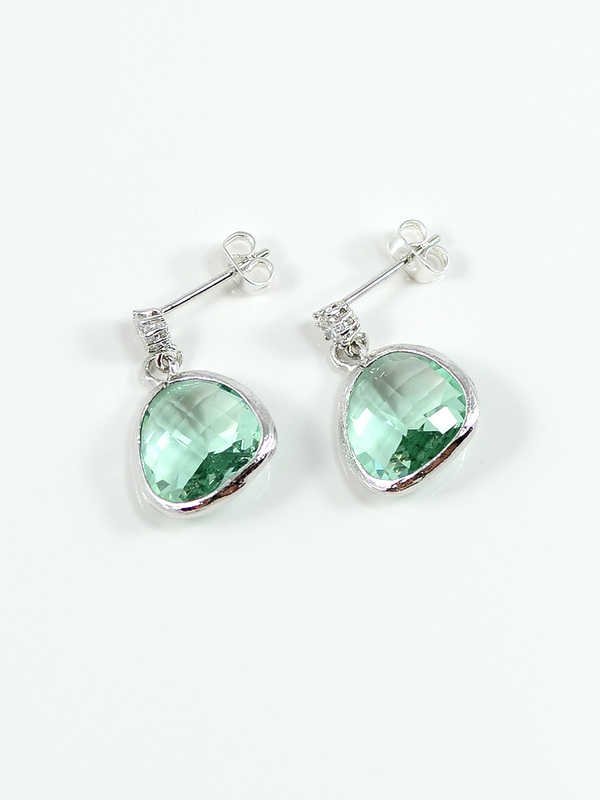 Add a little sparkle to your day with these dazzling cubic zirconia post earrings featuring 13mm framed glass crystals in erinite. 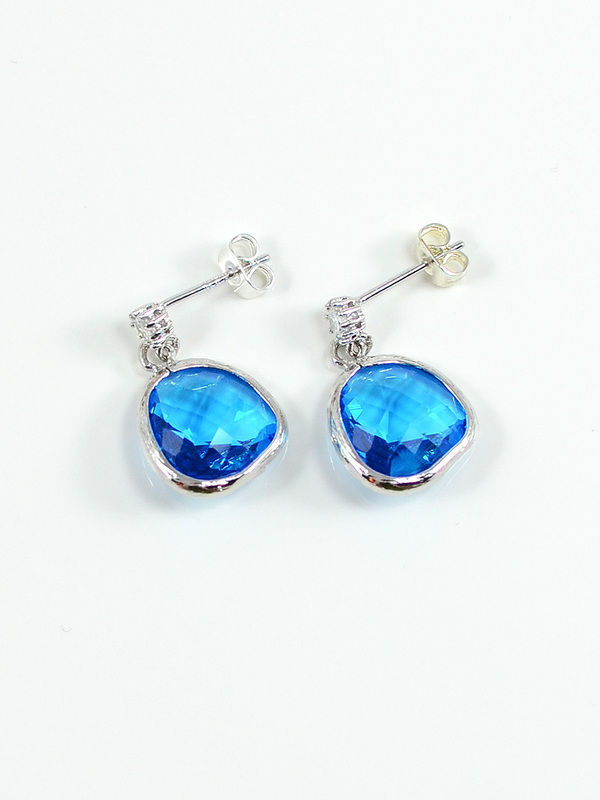 Add a little sparkle to your day with these dazzling cubic zirconia post earrings featuring 13mm framed glass crystals in capri blue. 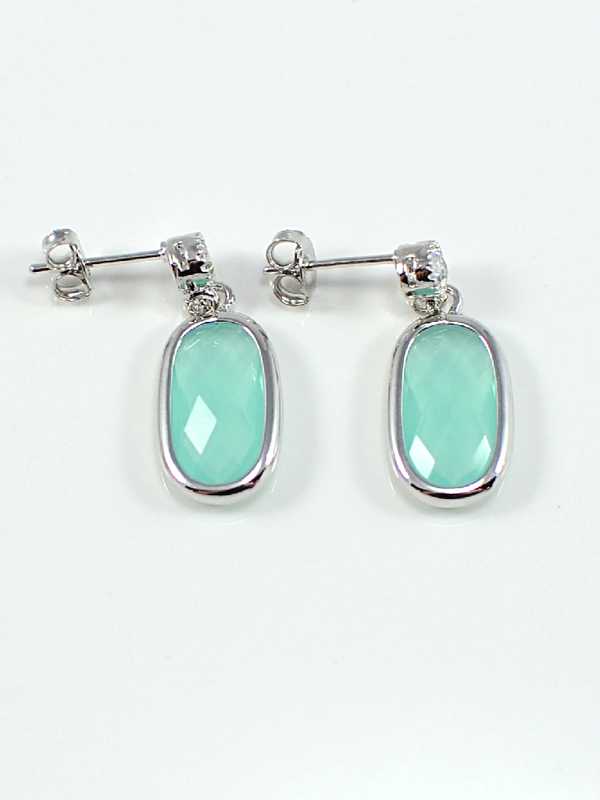 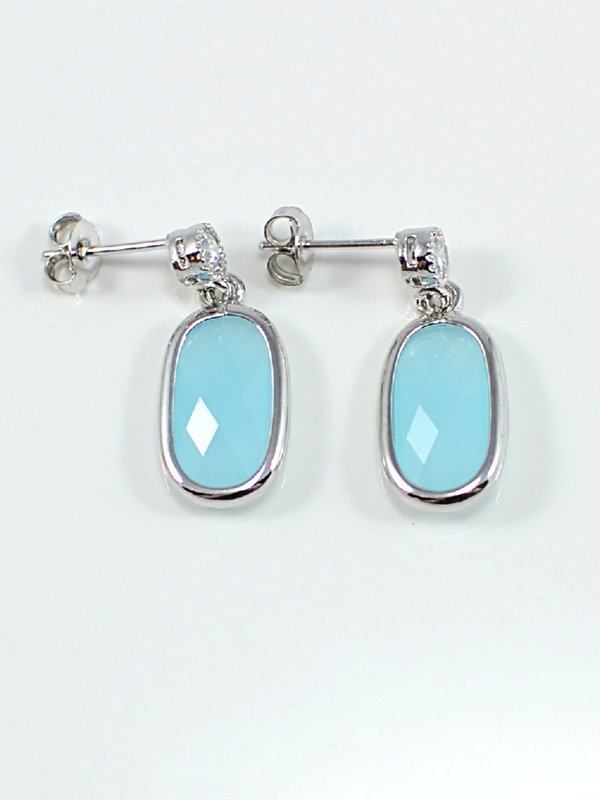 These bright rhodium and cubic zirconia post earrings showcase a 17mm oblong framed glassdrop in a beachy Pacific Blue Opal. 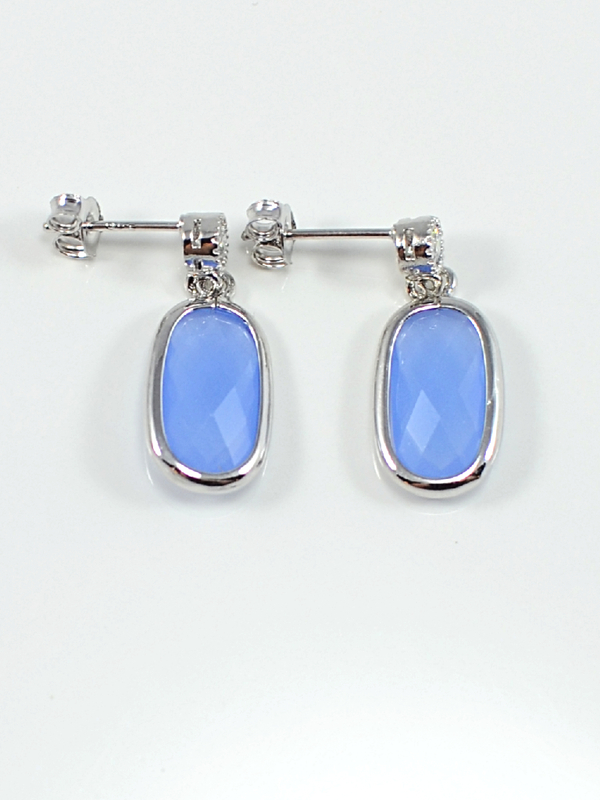 These bright rhodium and cubic zirconia post earrings showcase a 17mm oblong framed glassdrop in a beachy Royal Blue Opal.